The 3 x CD Global Underground ‘TWENTY’ album features 50 tracks including 15 album exclusives. 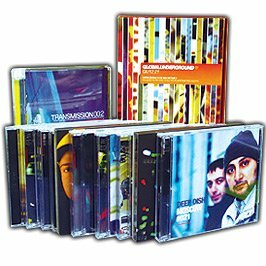 It looks back at the finest moments in GU’s history with a collection of classic tracks, updated remixes and brand new productions from the likes of Moby, Sasha, Dixon, Dubfire, UNKLE, Booka Shade, Gabriel Ananda and more. ‘TWENTY’ is available in two physical formats – the rather special Super Deluxe Collectors Edition with triple coloured vinyl, triple CDs and a 112 Page 12” Square TWENTY hardback photography book, all packaged in a hardback slipcase; the second being a Deluxe CD version with triple CDs plus a 24 page ‘TWENTY’ Booklet. The album is also be available digitally.